Years ago, did you dream of owning your own business? Did you realize you’d face obstacles getting it started and have plenty of hurdles to overcome? You probably did, but you might not have foreseen the massive amount of stress you’d experience managing day to day operations. Are you now doing just what you need to get by because the idea of growing your business seems totally overwhelming? Well, I know you did not start your business because you love chaos, stress, and anxiety. My guess is you started your business because you were passionate about sharing your talent with the world. You wanted to start it then grow it to reach more people and obtain greater profits. 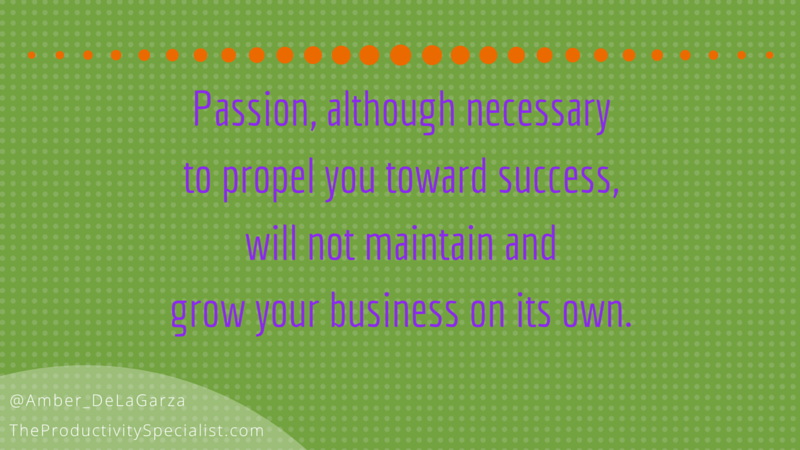 Passion, although necessary to propel you toward success, will not maintain and grow your business on its own, however. Passion also waivers depending on how you feel each day. If you feel immense stress running your business, your passion may be stifled. The ever so delicate balance of maintaining your sanity and growing your business can be challenging but there are steps that can be taken to help you achieve that elusive balance. Start taking those steps today to disallow your passion from burning out while fostering the growth of your business without pulling your hair out. Many of you may not have figured out what success means to you yet but having clarity is essential to growing your business with less stress. This concept may sound simple, but simple is not always easy! You must have a good grasp of what you want to accomplish before you set out to achieve success. As Steven Covey says, “You must begin with the end in mind.” If you don’t know where you are heading, any new shiny object/project/opportunity/app/program will look like a great thing to spend your time and energy on. Without a solid definition of what success means to you, you will end up jumping from one unfinished project to the next and getting nowhere. Having unfinished projects also tends to cause mental clutter and stress, as if you need any more. After you create the goals that comprise your vision of success, rewrite them as a daily affirmation that you can read every morning. I save my goals on my phone so I can easily access them at any time. It helps me stay on track and may help you as well. Once you have clarity about where you want to go, you can begin strategizing how to get there. Both passion and goals alone will not help you attain success. After all, “A goal without a plan is just a wish,” as Antoine de Saint-Exupéry put it. Without a strategy in place to accomplish your goals, you might as well just throw them into a wishing well with your pennies. Break your larger goals up into smaller projects and prioritize them in order of importance. Doing so will enable you to reduce stress and not feel overwhelmed with all that needs to get done. Focus on one project at a time and move on to the next only when your current project reaches maintenance mode status. To plan far ahead, schedule projects out for specific durations on your calendar after prioritizing them. Some projects may be only a week long, others an entire quarter. Planning a project timeline will enable you to visualize along the lines of a theme. For example, one of my goals is to create an online course so I marked off six weeks in November and December to focus on course creation. The strategy works because when any new shiny object/project/opportunity/app/program comes my way I can weigh its importance against the thematic project planned for that time frame and my overall goals. Even though planned projects usually win, it is worth filtering every opportunity. Sometimes reprioritizing is necessary and that is ok! Make a choice to strategically accomplish your goals one project at a time instead of haphazardly wasting your time and energy on projects that do not get you any closer to achieving your goals or vision of success. 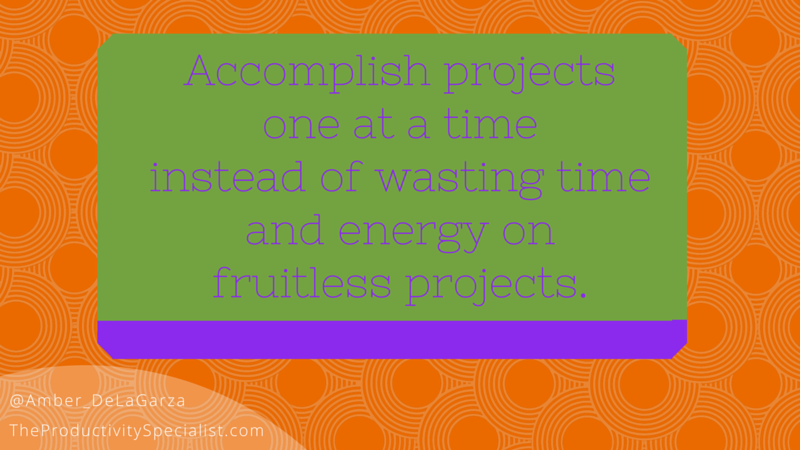 You only have so much energy and time so refuse to spread yourself thin over multiple projects. Slow down, strategize, and stay focused. Once you have planned how to achieve success, you must clear the way for new growth in your business and personal life by eliminating. 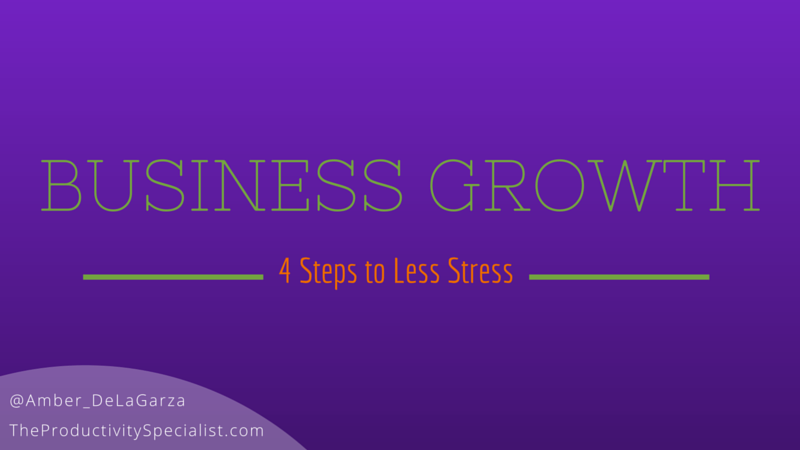 Simply put, you cannot do everything yourself and expect to grow your business stress-free. When you keep adding and adding to your plate, one cannot help but be stressed out. Accumulating responsibilities without having more time will inevitably affect the quality of your business and your mental stability. Something always has to give each time you add more to your list of responsibilities. For some businesses customer service is negatively affected; for others it is the loss of family time or self-care time. What is it for you? What is the first thing that goes when your plate is overly full? You need to eliminate responsibilities to clear the way for new ones. Otherwise, you will not be eager to take on new projects that you know will grow your business. Your natural reaction will be to avoid them because you are already overwhelmed. I suggest creating a D List which is simply a list of tasks you can either delete or delegate to others. Follow through with eliminating them off your plate through focused execution. To see the results you desire, you have to execute! This is where many people get stuck. Running your own business day in and day out will take over all of your time if you let it. Schedule time on your calendar to work on the projects that will grow your business. Perhaps you need only an hour a day or maybe three hours twice a week. The key is to hold those scheduled blocks sacred so you can use that time to implement change and foster the growth of your business. If a client asks to meet you at a time you already scheduled for working on your project, would you take the meeting? Would you take the meeting if you already had another client scheduled for that time? No, of course you wouldn’t! You would respect your previous commitment with your other client and negotiate a time that works for both of you. Respect your commitments to yourself as well. Hold your project appointments sacred because no one else is going to do that for you. There will always be something else going on or someone else requesting your time. Make the time to execute projects and stick to it. Establishing clarity on your goals, strategizing how you’re going to achieve them, eliminating that which you can delete or delegate, and executing your plan for success takes commitment. The good news is you have already proven you’re capable of a long-term commitment. After all, you dreamed of owning your own business and made that dream into your reality, and I’ll bet it didn’t happen overnight. When you take the steps to consistently execute high-priority projects that are imperative to the growth of your business, you will be able to grow your business in less time with less stress. that will grow your business.